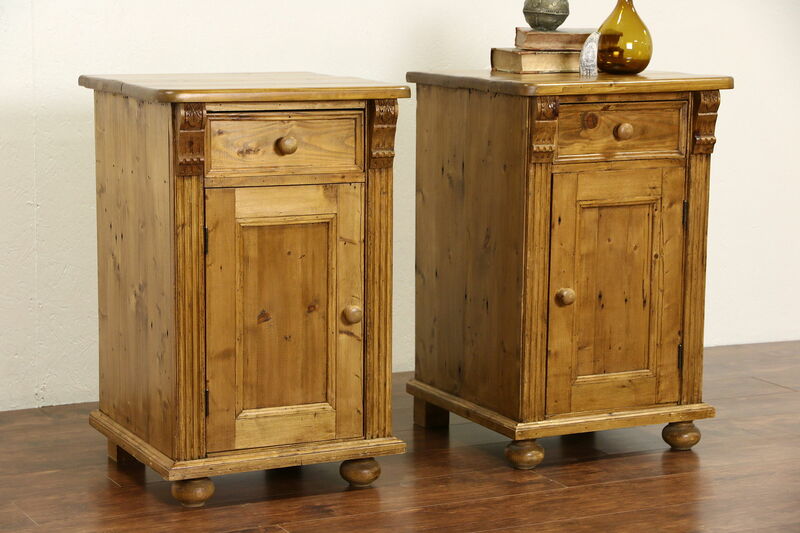 Hand carved in the Czech Republic about 30 years ago from reclaimed pine, a pair of country nightstands or end tables has an excellent renewed finish. Drawers have dovetailed joints on this European rustic vintage furniture. A true right and left pair, there are minor shrinkage separations from age. Measurements are 21" wide, 21" deep and 33" tall.